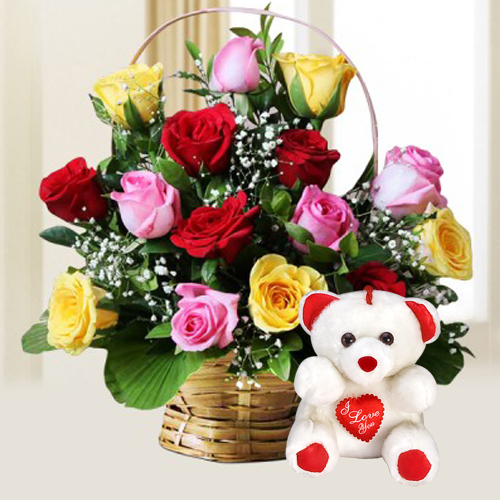 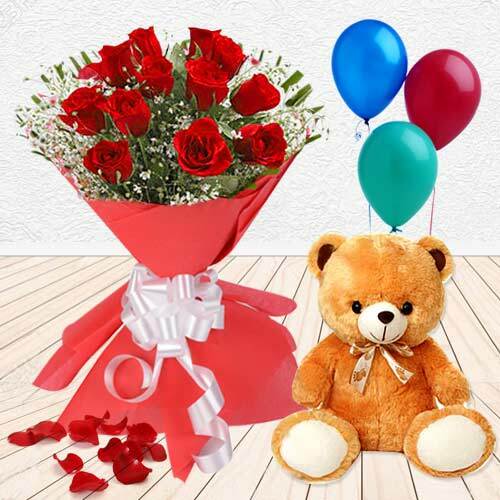 Convey your best wishes for your family and friends as you order Online to Send Flowers with Teddy to India on the occasion of Wedding, Birthday, Anniversary, Friendship Day and other occasions. 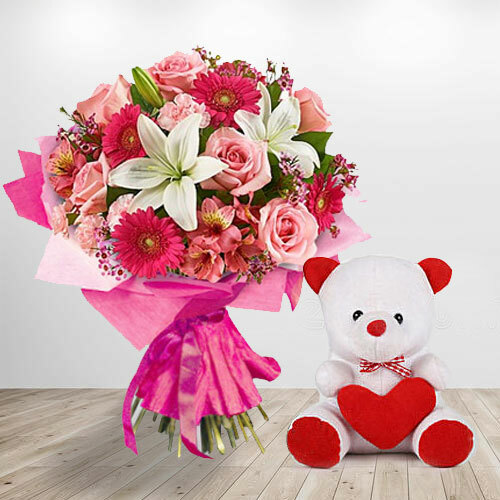 Choose any of the low priced Flower with Teddy and get an assured Delivery on the Same Day at over 275 locations in India. 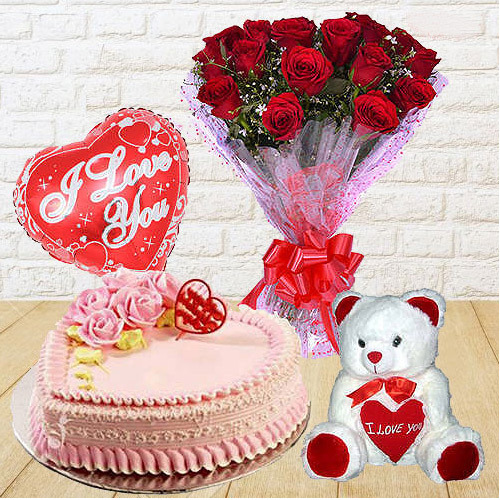 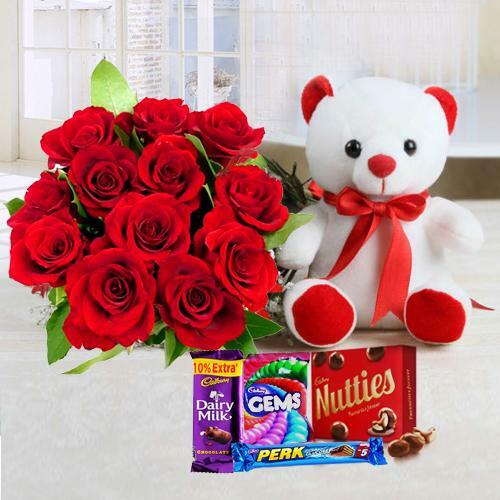 Send Provocative Cute Love Gift Affection, Special Teddy Bear and Assortment of Flowers, Admirable Small Teddy, Roses and Dairy Milk Silk, 25 Red Roses with 1 Lbs. 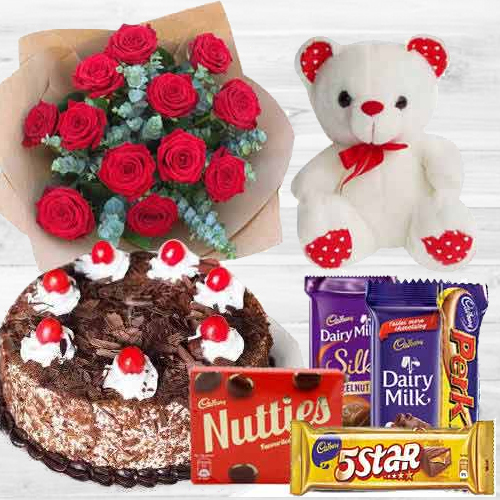 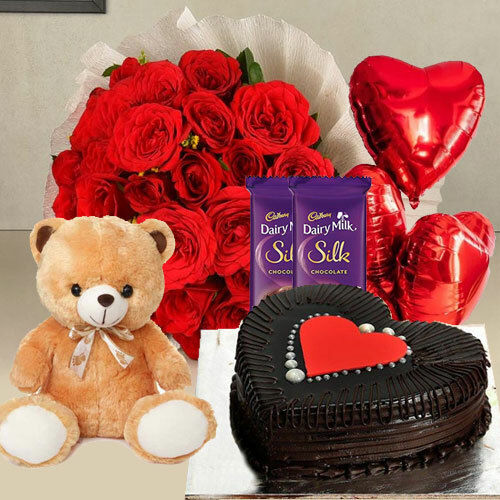 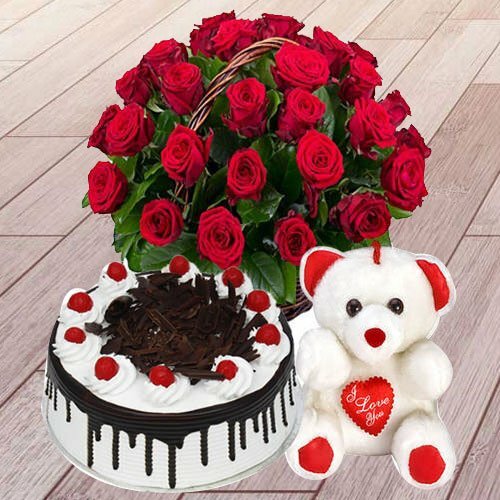 Black Forest Cake an Small Teddy and other Flower Teddy Combo to Delhi, Kolkata, Pune, Amritsar, Ooty, Mumbai, Hyderabad, Chennai, Bengaluru, Cochin, Jabalpur, Varanasi, Mysore, Nagpur, Tiruvenelli, Sivkasi, Jalgaon, Siliguri, Patna, Ranchi, Jamshedpur, Bubaneswar, Cuttak and other cities in India. 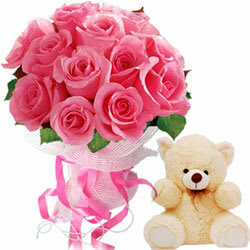 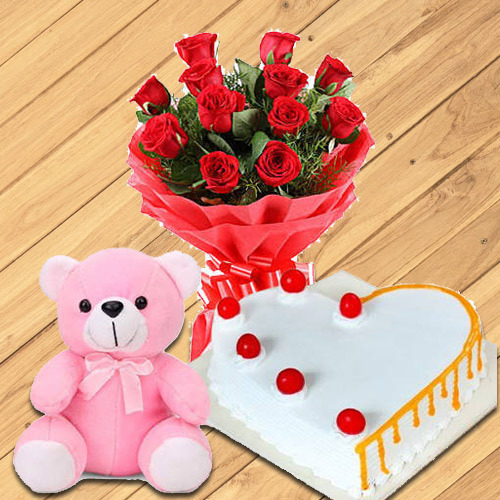 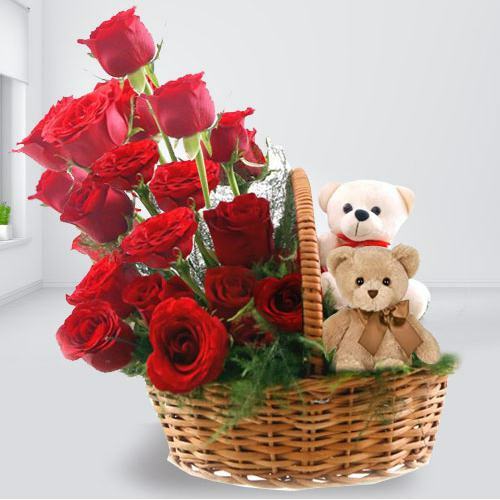 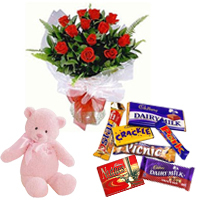 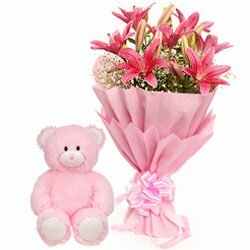 We have brought to you a huge collection of Flowers with Teddy at low price available on our website to choose the best gift for your dearest person and surprise your father, mother, sister, brother, wife, husband, boy friend, girl friend, lover in India with a Same Day Delivery of Bouquet with a cute little singing Teddy.